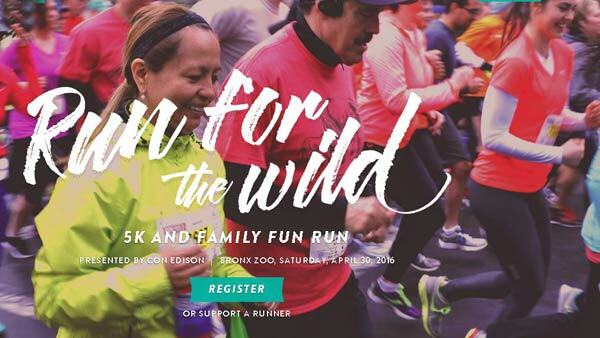 Run for the Wild at the Bronx Zoo! Make tracks for wildlife in the 2016 WCS Run for the Wild at the Bronx Zoo. This year's 5K run/walk takes place on Saturday, April 30. There's still time to register, raise awareness and funds, and to run! Register here! There are two start times, one for runners at 8:00 a.m., and a second for the zoo's Family Fun Run/Walk at 8:45 a.m. 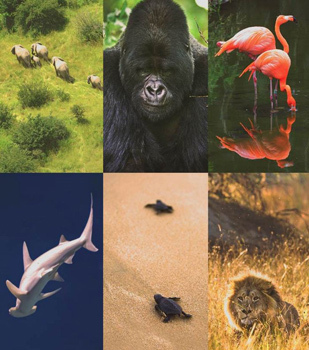 The Wildlife Conservation Society protects animals and their habitats all over the globe. Run on behalf of your favorite animal and help them to continue their critical work! All adults and senior registrants must also raise at least $30 before the run in order to participate on April 30! The minimum fundraising requirement is waived for children. You'll also be eligible for a host of prizes based on your personal fundraising success: You can win a cheetah plush, tote bag, cooling towel, and a VIP brunch. Sign up and get a jump start on your fundraising now.